How To Cook Spaghetti Squash | Perfect Spaghetti Squash In The Oven! 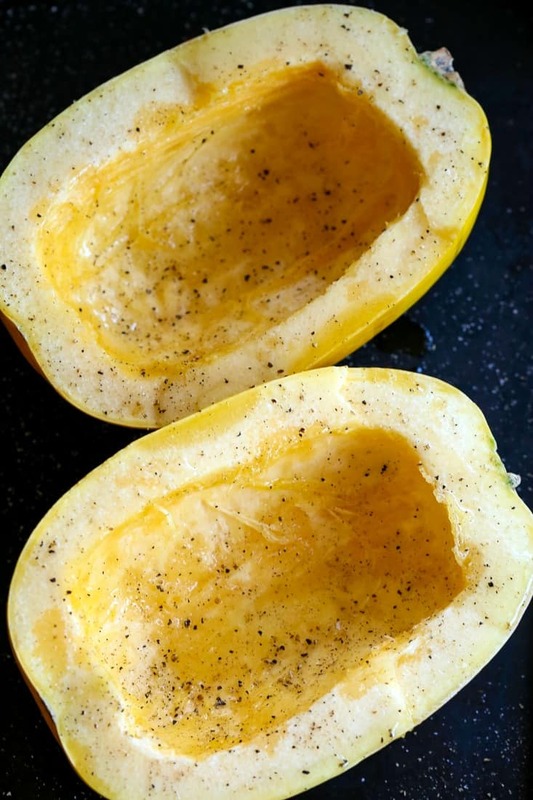 How To Cook Spaghetti Squash is the easiest way to roast spaghetti squash in the oven! 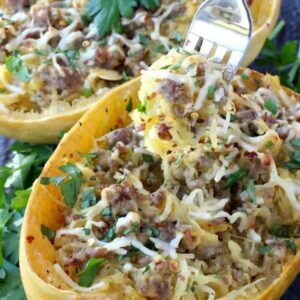 Spaghetti squash can be used for so many different recipes! 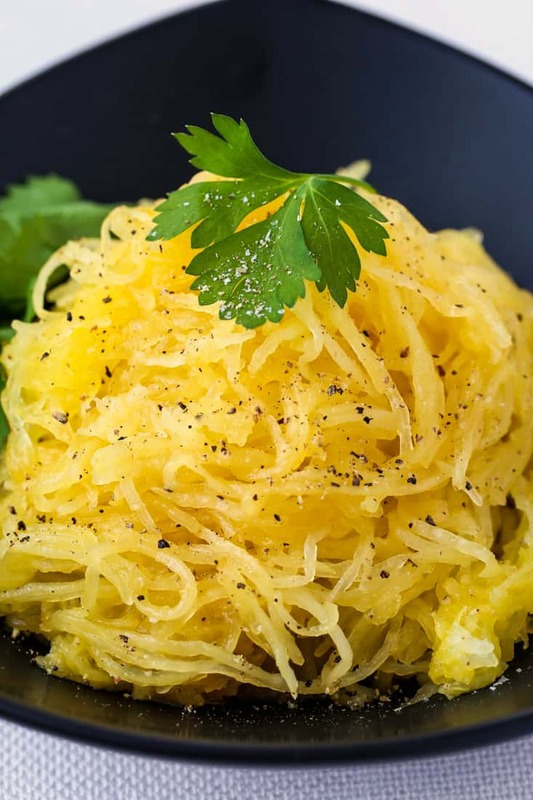 Spaghetti squash is ultra popular these days, especially for making all the low carb recipes. 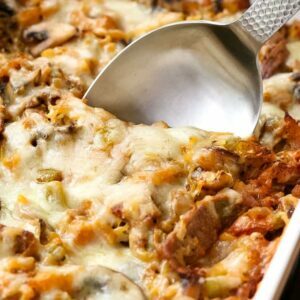 You can make so many recipe using spaghetti squash like casseroles or stir fry recipes using our Homemade Stir Fry Sauce! But I remember my mom making spaghetti squash when I was little, tossing it with spaghetti sauce and sometimes ground beef or cheese. My mom was definitely ahead of her time when it came to cooking! These days people are cooking spaghetti squash like it’s broccoli, a super common vegetable side dish, right? Most kids will eat broccoli if it’s steamed or boiled with butter on top. Or you can try one of these fancier recipes like Roasted Broccoli with Bread Crumbs or Rigatoni with Broccoli Rabe and Sausage. That’s a pasta dinner that’s also a great way to get the vegetables going on at dinner time. This is such an easy method for roasting spaghetti squash in the oven, you’ll be doing it all the time. A little trick I learned from a friend is to pierce the squash with a fork or a knife several times, then microwave it for 5 minutes. Now you can cut the squash in half a little easier than if you didn’t microwave it before, because if you’ve ever tried doing that you’ll know it’s not an easy task. Now season the spaghetti squash with kosher salt and pepper and a drizzle of olive oil just like I did here. But remember, once the squash is seasoned you’re going to flip it over so that the cut side is down on the sheet pan before roasting. The roasting time will depend on two things. One, the size of your spaghetti squash. Obviously a larger squash will need more time than a smaller one. If you start out with a 400 degree preheated oven, you can start checking a smaller squash after 25 minutes, then keep giving it 5 minutes more until it’s done. How Do You Know When Spaghetti Squash Is Done? Now here’s my number two answer from above. If you’re roasting spaghetti squash to eat as is with a little salt and pepper or parmesan cheese you’ll want it more on the tender side. Still cooked so that it separates into strands and isn’t mushy, because you want those nice spaghetti like strands. 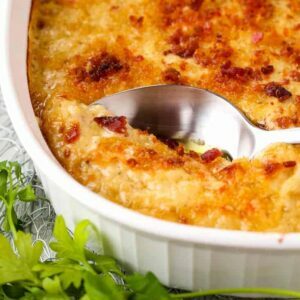 But if you’re cooking spaghetti squash to use in another recipe, meaning that it will cook longer combined with other ingredients, you’ll want it a little more “al dente”. So slightly firmer. I used a 4-5 pound spaghetti squash for this recipe and it took 40 minutes for perfect spaghetti squash strands. What I recommend is that you start checking your squash with a fork at about 25 minutes for a smaller squash then continue from there. 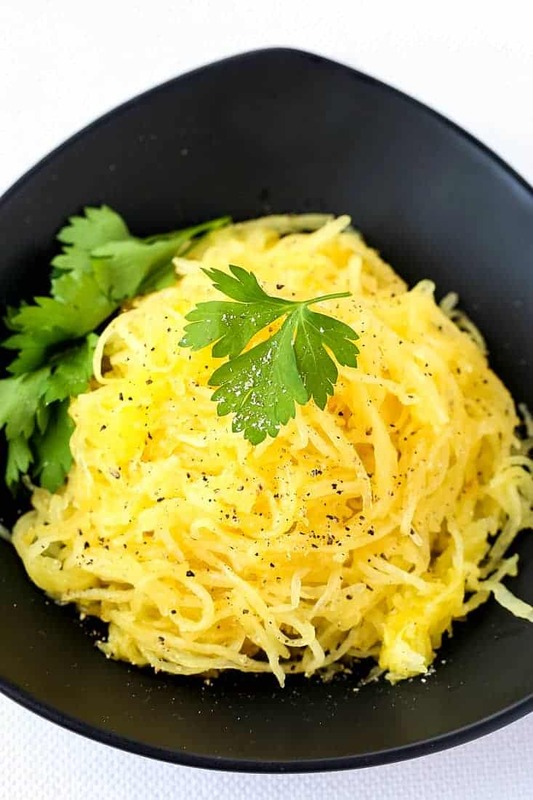 Once your spaghetti squash is done to your liking, remove it from the oven and start scraping the squash with a fork until all the squash is removed from the skin. Then you can either continue on with the next part of the recipe of season the squash with fresh cracked black pepper, salt and parmesan cheese. Or mix your cooked spaghetti squash together with marinara sauce and use it just like you would spaghetti or pasta! Our boys love it this way, pretty much anything that resembles pasta is good enough for them! 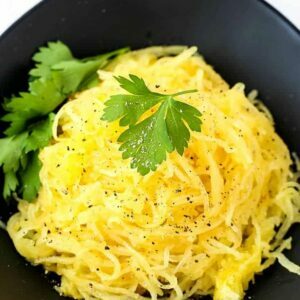 Spaghetti squash is also a great way to make tons of low carb recipes in place of pasta! 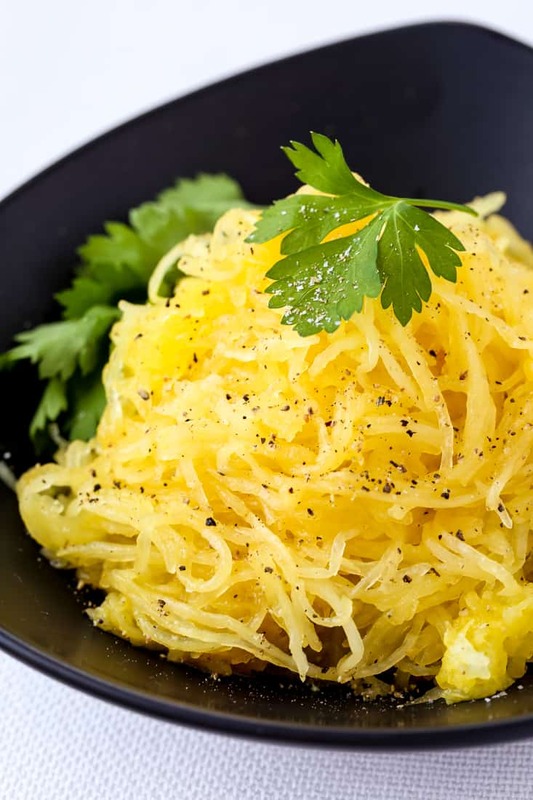 Try swapping out spaghetti squash in your favorite pasta recipes or even in a stir fry recipe! Looking For Easy Spaghetti Squash Recipes? Roasting spaghetti squash in the oven couldn’t be easier! 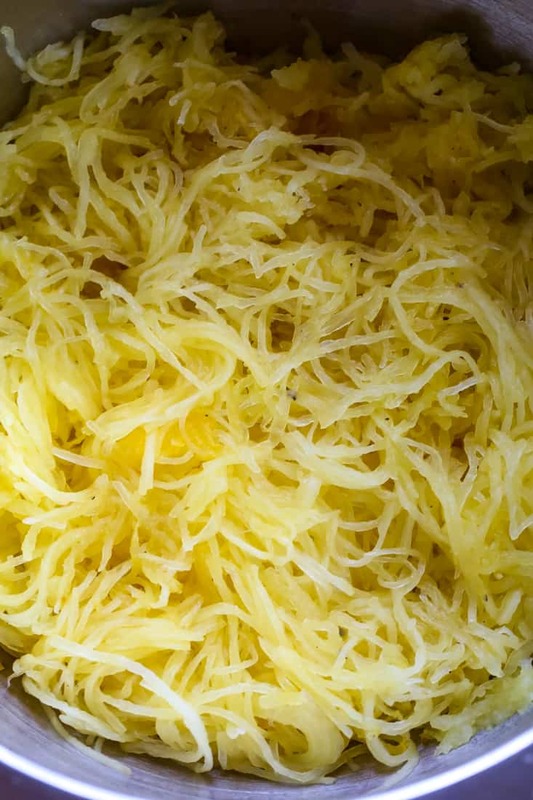 Try my tips for perfectly cooked spaghetti squash strands that will hold up in any recipe! Pierce the squash several times with a fork or knife then place it in the microwave for 5 minutes. This will make the squash easier to cut in half. Cut the spaghetti squash in half lengthwise as shown in the pictures above. Scrape the seeds out from both halves then place onto a baking sheet. Season both halves with salt and pepper then drizzle each half with 2 tablespoons of olive oil each. Flip the squash over so the cut side is down on the baking sheet then place into the oven for 30 minutes. Remove the squash from the oven and test for tenderness by scraping the flesh with a fork. If the squash is too firm them flip back over and return to the oven for another 5-10 minutes. The squash I used for this recipe was almost 5 pounds and took 40 minutes total. When the squash has cooled, use a fork to scrape the flesh from both halves and place into a bowl. Season with salt and pepper and serve, or keep the squash plain and use for another recipe. I have been cooking spaghetti squash for many years now, basically the way you do it. I found out that cutting the squash in half cross-wise delivers longer strands. I use an air fryer to cook and the shell becomes very hard after 30 min and can be cracked easily, letting me peel the shell and leaving the mound of flesh intact., giving me more options how to prepare the squash like just filling it with the meat sauce.